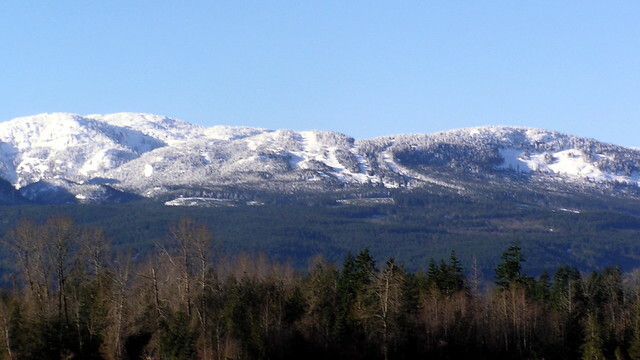 While Mount Washington Alpine Resort is known for being the Island’s winter playground, it once shared this crown with another resort in the Comox Valley. Forbidden Plateau has been closed for well over a decade, but was once a mountain packed with ski enthusiasts, peaking in the 1970s. My oldest memories of the place involve many, many yellow, brown and navy one-piece ski suits. Dutifully keeping watch over the Comox Valley, it’s easy to spot the now-empty slopes about 20 minutes west of downtown Courtenay (the pink-coloured area in the middle of the map is Forbidden Plateau’s approximate location). Often well below the snow line, Forbidden Plateau no longer generates enough snow to operate as a resort, but that doesn’t stop enthusiasts from holding snowboard jump jam events throughout the winter when the pack is good. 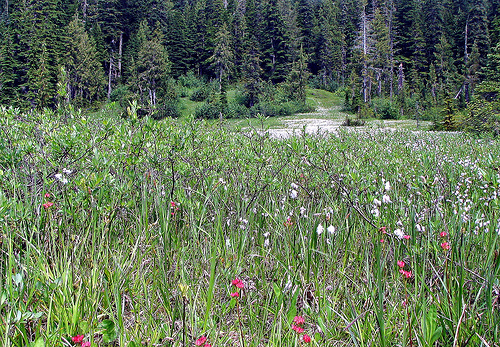 Long before Mount Washington rolled out their stellar white carpet, the Valley’s earliest settlers established at Forbidden Plateau and built homesteads based on agricultural opportunities. 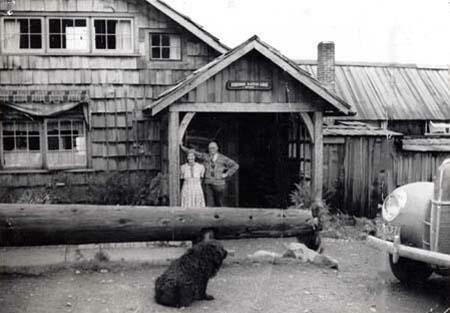 The first lodge at the mountain, seen below in the 1930s, was likely destroyed by the largest earthquake in Canadian history. On June 23, 1946, the shaker ripped through the area, measuring in at 7.2 on the Richter Scale. What is perhaps most fascinating about the area is its rich history and, in particular, how the mountain supposedly gained its name. Though the legend varies based on who you ask, it’s said that the K’omoks First Nation band brought their women and children to the mountain for safe-keeping, anticipating a battle with a band from the Alberni Valley. When the battle was all said and done, Red Lichen growing in the early Spring from under the snow was supposedly mistaken for blood, leading the K’omoks band to assume that the women and children had been attacked and killed. It’s believed they instead died of starvation and freezing temperatures when no one had come to retrieve them. 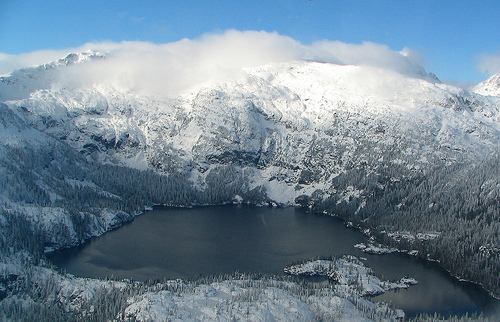 Today the area, as part of Strathcona Provincial Park, welcomes back-country skiers, hikers, camping fanatics and nature lovers. While the remnants of a recreation era gone by are at every turn – including the former ski rental hut below – there’s still much to see and do. 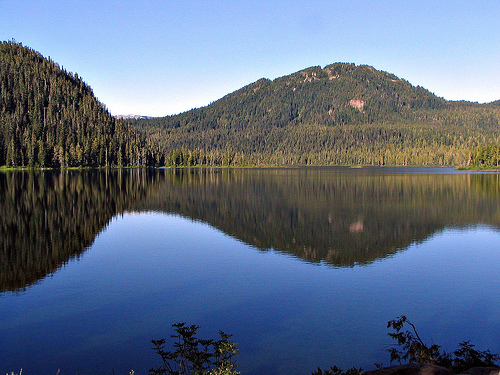 Those who prefer something more scenic than grueling may be interested in hiking past a number of lakes and through flowered sub-alpine meadows to the peak of Mount Beecher. 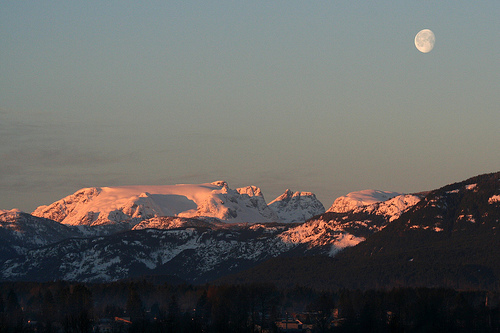 The hike can be done at a leisurely pace over the course of a morning, allowing you to dine on lunch with spectacular views of the Comox Glacier and the entire Valley. As with any of our Province’s parks, please use caution and care while venturing out. Wolves, cougars and black bears are not uncommon in the Forbidden Plateau area, but staying respectful and keeping a safe distance should ensure everyone’s safety. Please take your garbage with you, employing the “no trace” rule. 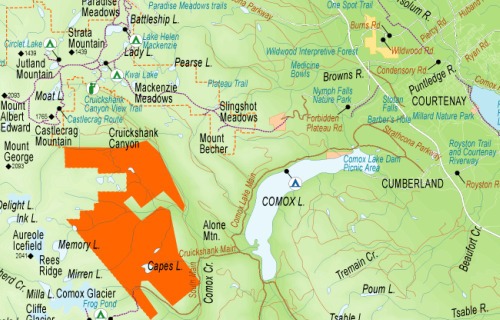 Those wishing to visit Forbidden Plateau can do so by using Forbidden Plateau Road from Courtenay to the old lodge (which was torched in an arson incident in recent years) – this is the easiest way to access the Mount Beecher trailhead. Visitors can also follow Highway 19 and turn onto the Strathcona Parkway, driving for 20 kilometres. 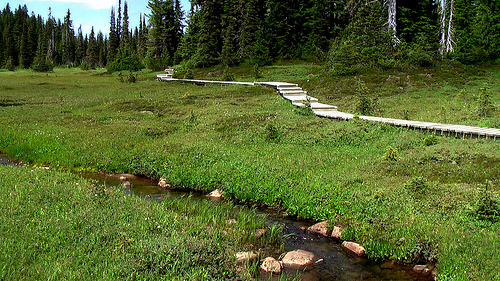 Turn left onto the Nordic Lodge road for 1.5 km to the Paradise Meadows parking lot. 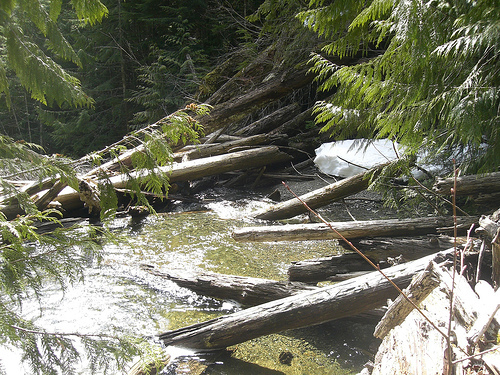 For more information on the area, please visit the BC Parks Website. If your Vancouver Island-based business or resort would like to be featured in Island Profile, please send me an e-mail with the details and let’s talk! And also an awesome few hours of down hill and single track mountain biking (or hiking) can be had in an afternoon from just below the chalet all they way down to the reservoir. In fact I would take it over riding the chairlift at Mt Washington any day of the week even if it were not free. I learned how to ski on that hill so very long ago. Love the view from up there! I learned to ski there as well in the early 1970s. My family and I were there almost every weekend, and Steve Fagan and I skipped school once or twice to ski there during the week later on in life. It was a wonderful place. So cool to read how other people experienced this area. 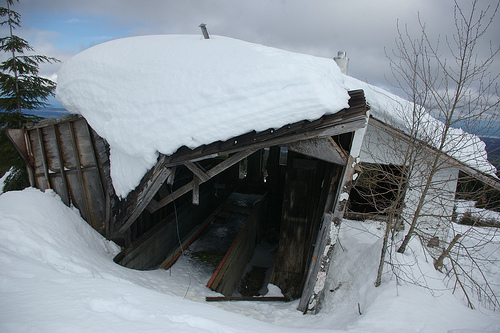 We own the 5 acres on Forbidden Plateau Road with the meadow that still has the collapsed Roundhouse on it and fallen ski lift pilons. Sadly we are not keeping it due to many reasons, not the least of which is the fact that it’s an undisputed crossroads for bears. Our initial dream of longterm plans to settle there have diminished but the little time we have spent there have not been dull. The constant threat of bears has kept us away and the few times we have camped there we have always had an incident involving close calls with the big guys. Hiking up the mountain as well, we were always on the lookout and for good reason. We came within a few metres of a black bear and luckily he was not interested in conversing. Once we do sell, we will always have a soft spot for this area. 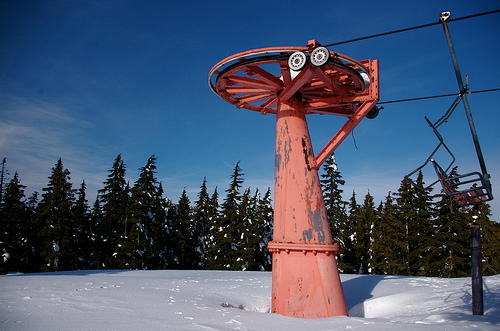 Since a youngster I’ve always felt that there is something buried or lost up past the old Tee bar at the top of the ski hill. Something very very old and waiting to be found. it has always been a spooky place and continues to be today for me. Skied many happy days there in the mid- sixties to early seventies. I now live in Steamboat Springs CO. but will always have a soft spot for that mountain. Lord, I remember the hike up to the base. It was tough going for a kid but so worth it when you got to ski all day. My first downhill skiing experiences as a teenager were there, in the mid-70’s. From the ‘bunny hill,’ to the mogul run, I learned to fall exceedingly well. The freedom of skiing was a right of passage for me, both life-changing, and rewarding. It was beautiful up there. anybody remember the names of the runs? I remember the Kandahar that started from the top t-bar that was a barn burner! The Kandahar started at the old forestry lookout above New Cabin were the CDMC had a rope tow. Then thru the bush to join the road (trail) then bypassed the switch backs and along a ridge to come out at the treeline about where the parking lot was build when the first T-bar was added. It was, to say the least, an interesting ride! For many years I had, along with Herb Bradley, a ski cabin at the treeline. In my day, before the first T-bar, we had two rope tows, one built by the Fanny Dunkers Ski Club and the other by the skiing component of the CDMC. We lost the first FD tow in the forest fire, the same fire took out Brad’s and my cabin. The insurance built Another! I learned to ski on Mt Beacher, at the hill at the lodge, Christmas week at “New Cabin” (later called Jay Lodge), weekend ski trips-The CRA would charter a bus from Watson and Ash and fill it with a bunch of kids and off we would go to thelp Lodge. As we got older a group of us would head for Beacher Cabin for the weekend and the Easter break. Many great memories of growing up in the valley in the 1950s. anyone know of any future plans for tbis mountain?